The Buick model lineup has always stood as a symbol of quality in the automotive market. Buick is a name that carries with it the reputation as one of the highest rated brands when it comes to the premium build, look, feel and ride of their vehicles, which makes adding a new vehicle, especially one that’s built in China, a daunting task to ensure the high quality needed is still present when this vehicle makes its way across the Pacific for the customer base in the US. This was the challenge the Buick Envision faced from the start. As a model that arrived in the US last summer, the Envision showed up as one of the most impressive compact SUVs on the market and immediately was met with applause and impressive sales. Over the course of the half-year on the market the Envision was sold over 10,000 times and was considered one of the most impressive new models to make its way to the market this past year. This SUV came in and quickly earned its spot as a high quality model that fit perfectly into the Buick lineup, but that wasn’t all the Envision had going for it. The first version of the Envision, along with the upgraded model for 2017, both have earned top safety awards from the experts in safety. The National Highway Traffic Safety Administration (NHTSA) has already rated the Envision as a five-star overall vehicle which puts it in good company with the rest of the Buck lineup that has earned this accolade for two years in a row. This speaks to the safety of every Buick model, which has become a top priority for the brand over the past several years and has given them these high ratings from the experts. When it comes to the Insurance Institute for Highway Safety (IIHS) the Envision has earned the Top Safety Pick+ rating, which is the highest possible. This rating is given to the Envision when its equipped with the optional front crash prevention equipment and the HID headlights. Certainly this means you should buy your Envision with these features in order to have the ride you want and the quality that will make a huge difference on the road for you. The standard and available safety features of this SUV use a combination of five cameras and thirteen radar and ultrasonic sensors around the vehicle. When you thing of Buick you may think of quality, you may think of craftsmanship and now you can also think of safety, which is one of the top priorities for anyone when purchasing a vehicle. When you have a vehicle that can not only give you a great ride but also take care of you and your family it’s easy to enjoy and understand why you would want to drive that vehicle. 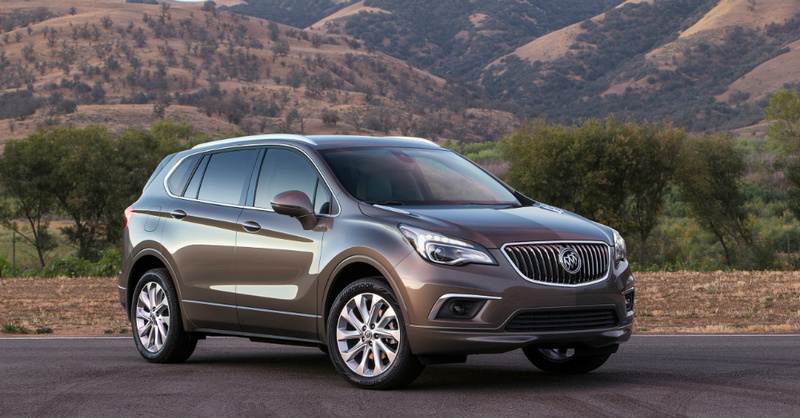 The new Buick Envision is such a vehicle and it brings you the ride and quality you’ve been after for some time. Not only were there more than 10,000 Envision models sold over the first six months this SUV was on the market, but the average time the Envision stayed on the lot of a dealership was only a little over thirty days. That’s less than half the industry average, making the Envision one of the hottest new SUV s on the market today. If you’re looking for a great vehicle to drive on a daily basis, this is the one that can give you everything you need and offer you the look, feel and excitement that makes a huge difference on the road. Is the New President Going to Have to Make a Change of His Own?